Known for its lively, fun-filled melodies and powerful, anthemic choruses, Nashville Life Music is a diverse family of singers and musicians inspiring worship gatherings in their local church each week. 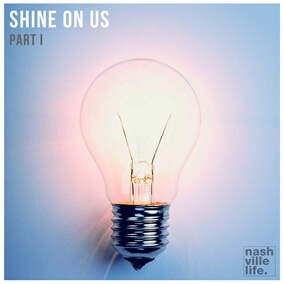 Their debut album, Shine On Us, is now available and makes a dynamic statement about their faith and musical future. The project includes the uplifting praise tune “Looking Up,” featuring CeCe Winans, the urban jam “My God,” featuring Mr. Talkbox, and the worship anthem “Firm Foundation.” Their songs and messages are a direct expression of their heartfelt mission to see the world filled with Jesus followers.